GOING FSBO? I am seeing so many FSBO’s in this strong Seller’s market, I want to offer some ‘tips’ for Sellers electing to sell on their own. These ‘tips’ are based on my knowledge, education and 16 years of working in the industry. If you elect to not list your home for sale with a REALTOR, there are still some very important professional services that you should not skimp on. An Appraiser or Broker to value your property correctly; a Photographer to take great photos, AND did you know that REALTORS can work to help you get to the closing table as Transaction Coordinators. Once you find your Buyer it may be worth the investment as it will take much of the worry, stress, emotions and frustration out of the transaction – saving you valuable time and money. Hiring qualified industry professionals will help ensure that you reach your goal and successfully get to the closing table. GET GREAT PHOTOS! Buyers love to see photos of your home. Don’t skimp here – hire a photographer with real estate photography experience – they are worth every penny you spend. You may eve want to consider 3D photography or sketch floor plans. BE AVAILABLE! Buyers want to see your home on their agenda, NOT yours. Missed showings mean missed opportunities. STAY SAFE AND SCREEN YOUR BUYERS! Both from a safety standpoint and from a financial qualification standpoint. Find out as much as you can about the people you are letting into your home before you open the door to them! Make certain that you are not in the home alone; that you have at least 2 points of ingress and egress open and always position yourself between the potential Buyer and a point of egress. NEVER go in the basement ahead of someone. STAY SAFE! Find out if the Buyer is qualified to actually purchase your home. Require a mortgage preapproval letter so as your preparations and time showing are not wasted by ‘looky lu’s’! DON’T turn down showings from Realtors! If they bring you a Buyer, you can consider them your new ‘best friend’ as they are helping you reach your goal. Just because you elect to not hire a Realtor, certainly doesn’t mean your that your Buyer can’t. Always remember, that the Buyer’s agent doesn’t represent you during negotiations, they work for their clients, the Buyers. PREPARE your home for the showing! Light, bright and airy! Absolutely NO CLUTTER. Stage each room to show a purpose. Make certain that all lights are on. It needs to look good, smell good and ‘sound good’. Put on some soft music. BE ORGANIZED! After you find the Buyer is NOT the time to get your documents together. Have your paperwork, forms and documents in line ahead of finding your Buyer. You will need, at minimum, seller disclosures and lead based paint disclosure, a purchase agreement, addendums, title work. PREPARE FOR CLOSING! This is a complex process, with a lot of steps and paperwork. 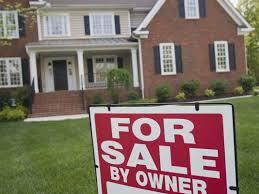 Make certain that your Buyer is on top of their processes – inspections, loan process, title work, etc. so that you don’t fall short of the closing table. CALL ME! 616 874-8188/616 889-9930 With questions and for contact info of industry professionals! I am happy to provide answers and point you in a great direction for services you will need. You are dealing with one of the biggest financial investments you will ever have. Protect your interests and GOOD LUCK!